The R6 update introduces the “Company File Colour Scheme” which replaces the “Company Colour Flag” preference. If you use it, it’s suddenly a blast of colour when what you’re used to seeing is a tiny little flag! Orange was okay when it was just a flag, but wow, is it ever bright when it’s the entire title bar! Some of the colours are equally as shocking. I’ve settled on the blue-medium which is fairly easy on the eyes. Here’s where to find it if you don’t have it set: FILE > PREFERENCES > DESKTOP VIEW. Choose the MY PREFERENCES tab and choose a colour under the COMPANY FILE COLOUR SCHEME. I’m still anxiously waiting for the new feature where I have the ability to collapse specific sub-accounts on financial reports to show up in Accountant Edition and Premier and not just Pro! *NOTE: to set your copy of QuickBooks for AUTOMATIC UPDATE, go to HELP > UPDATE QUICKBOOKS > OPTIONS and select the YES radio button next to AUTOMATIC UPDATE. You can also choose whether to used a SHARED DOWNLOAD if you’re in a multi-user environment. Go to the VENDOR CENTRE and double click the vendor RECEIVER GENERAL. Then click on the TAX AGENCY INFO tab. Choose your Reporting Period (Monthly, Bimonthly, Quarterly, Bi-annual, or Annual). Then choose the Period Ending. 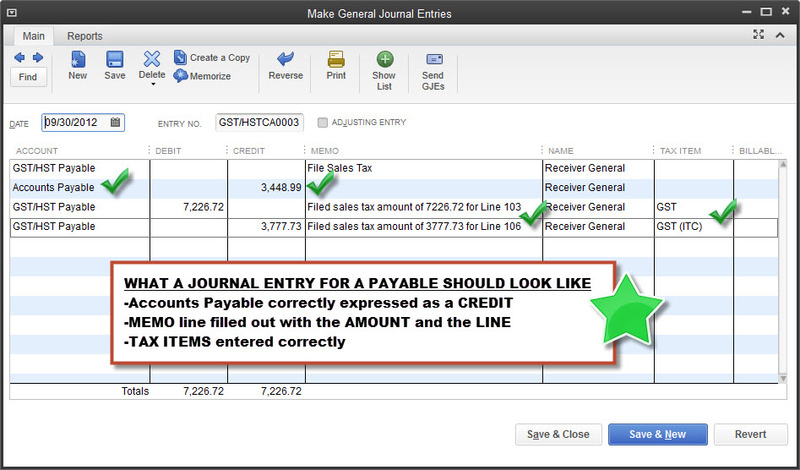 Once this is set, it will show up automatically when you go to FILE SALES TAX. 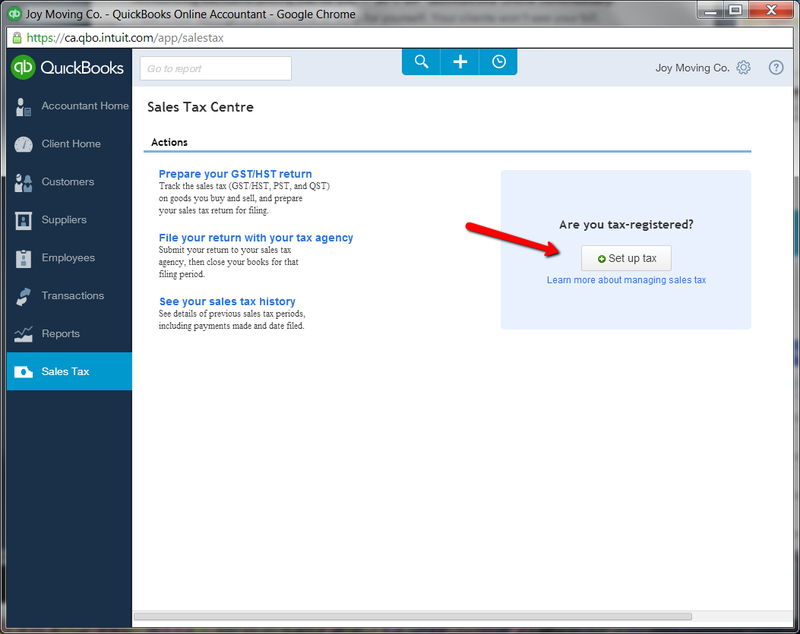 Why you MUST set a closing date in QuickBooks! You’re a small business owner, and you’ve just sent your QuickBooks data file off to your accountant to complete your tax return for the year ended June 30, 2012. For the next 12 months, your staff unknowingly make changes prior to that date – they delete a few invoices, add a few receipts, add a couple old bills from vendors who haven’t been paid, delete a lost payroll cheque…you get the idea. Now your accountant has the June 30, 2013 data file and runs a report from June 30, 2012 to make sure the numbers match from the previous tax return. THEY DON’T. Now what? DON’T RUN INTO THIS PROBLEM. IT CAN TAKE HOURS TO FIX. Enter a closing date (the fiscal year end). Create a password that users will be required to enter to override the restriction. There’s now also a box to exclude non-posting transactions from the closing date restriction – a fabulous new feature if you use estimates, purchase orders, and/or sales orders. Check it! Don’t rely on your users to know whether or not changes they’re making will affect a prior period. SET A PASSWORD-PROTECTED CLOSING DATE TO PREVENT CHANGES. NOTE FOR SALES TAX and/or HST/GST FILERS: I recommend that you set the closing date as soon as you’ve filed a sales tax return. In the case of quarterly filers, this means the closing date is changed quarterly.